A Science News Aggregator That Covers Stories in the World Of Science And Technology. LIMA, Peru – Heavy rains have damaged part of one of Peru's top tourist destination, depositing clay and sand on mysterious figures etched in the desert sand by indigenous groups centuries ago, an archaeologist said Monday. 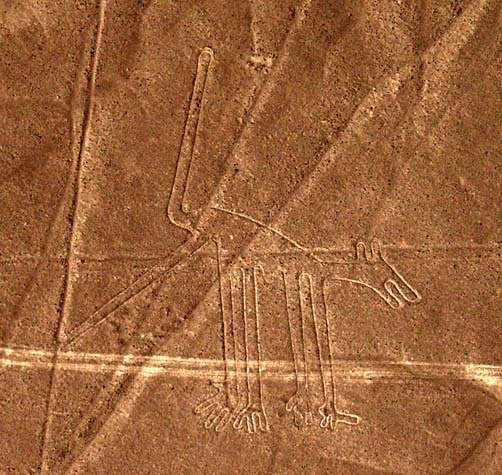 The rains, which are uncommon on Peru's dry coastal desert, washed off the nearby Panamerican highway and pushed sand on top of three fingers of a geoglyph in the famed Nazca lines, said Mario Olaechea of Peru's National Culture Institute. The fingers form part of a pair of hands. Olaechea told The Associated Press that the damage is minor and the institute plans to clear the material and restore the geoglyph. Quotas For Women In Science?